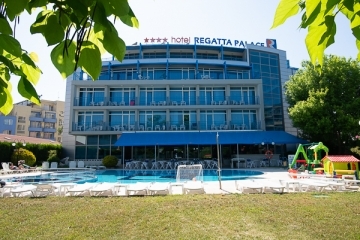 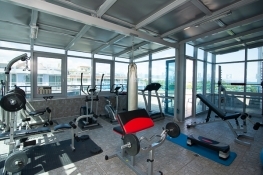 REGATTA PALACE Hotel was completely modernized in 2010 and is located in south-western part of Sunny Beach and 200 meters from the popular disco Cocoa Beach. 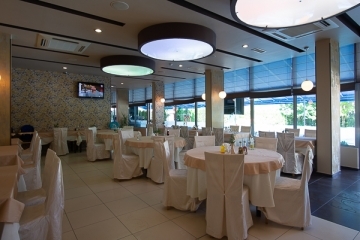 The hotel has 39 double rooms, 2 triple rooms, 3 studios and 4 apartments, and convenience of specially selected furniture, high quality bed linen of Egyptian cotton and high level of service. 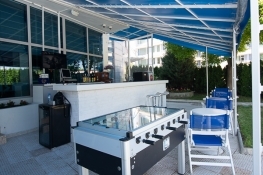 Why should you choose Regatta Palace?